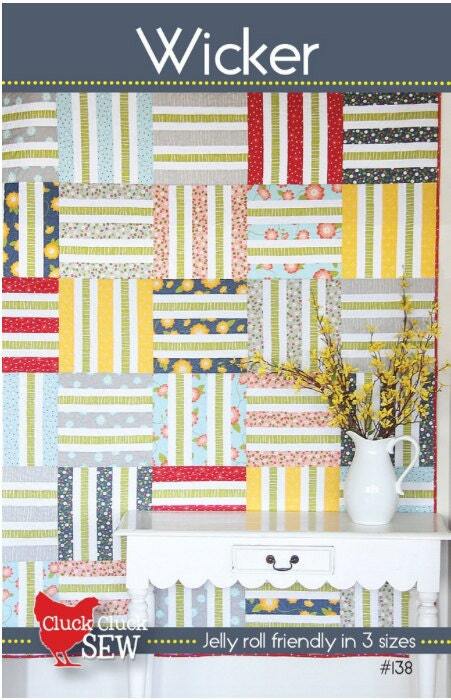 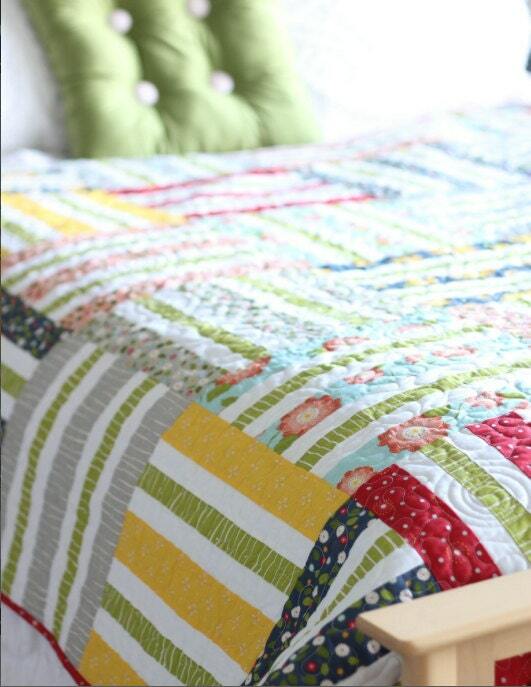 Jelly Roll friendly in 3 sizes! 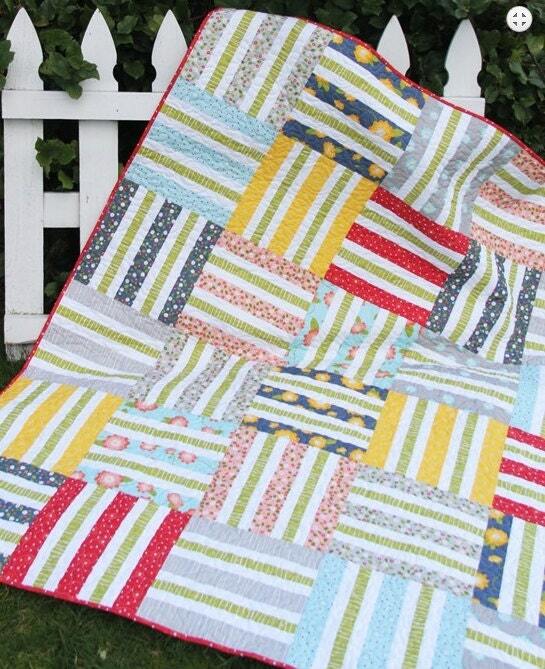 Wicker is Jelly Roll, yardage, or scrap friendly. 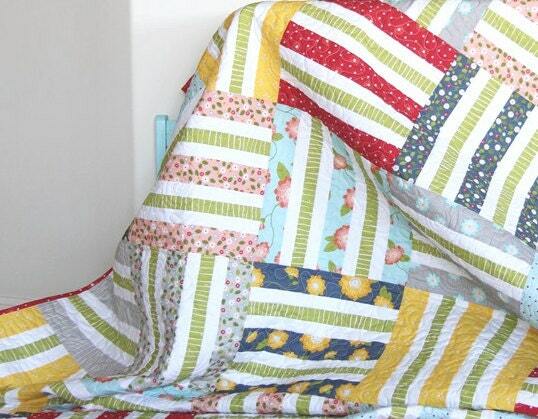 This pattern is great for beginners & fast to make! 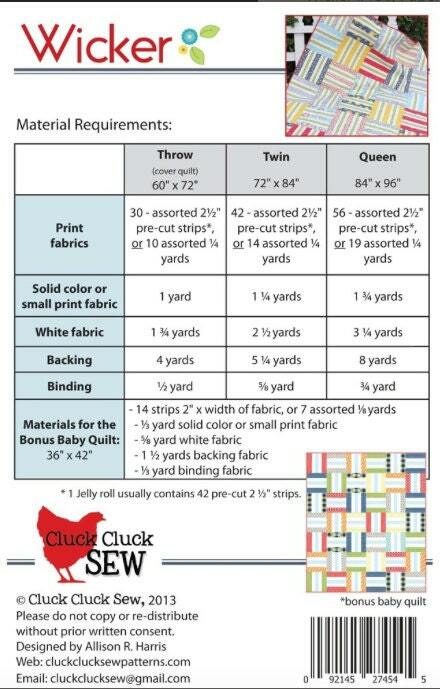 Pattern also includes instructions for making the baby quilt seen on the back cover image.